Budapest, the capital of Hungary, has a population of 1.8 million people. This romantic city is divided by the River Danube. The city boasts freely in its rich background of historical and cultural attractions. Its natural parks are scenic, the museums embrace the history of the city, and the embankments and pictographic caves are a sight to behold. Cheap flights to Budapest are now available for a limited period of time, so get ready to be captivated by this beautiful city. Budapest is home to Budapest Ferenc Liszt International Airport (BUD), which is approximately a 30-minute drive from the city center. Scenic views of Budapest’s nature parks capture the essence of the city. Boat cruises, helicopter rides, and guided tours of the castles and caves is available around the city. 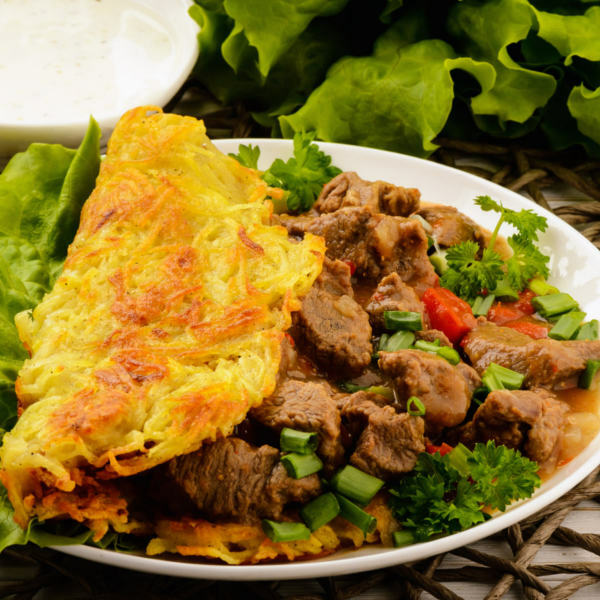 Allow the delectable foods to tickle your taste buds, some things you must try: Chicken paprikash, goulash, fried cheese burgers, dobos torte, chimney cake, meat from the butchers, and tokaji. 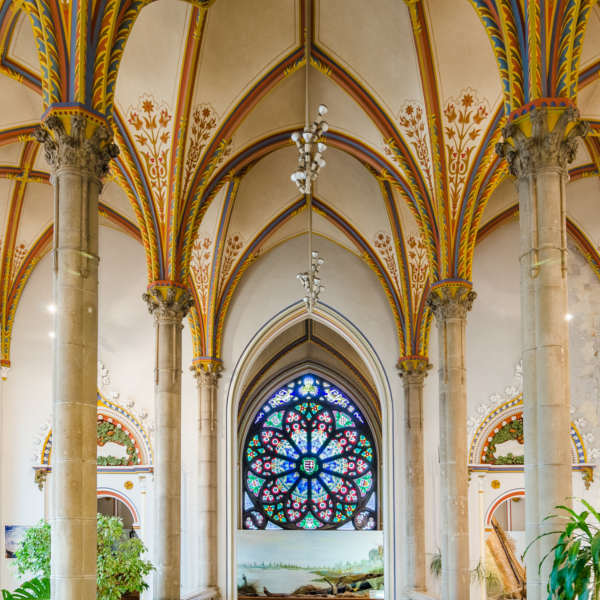 Budapest boasts rich culture in the historical life of their museums, theatres, concert halls, cinemas and churches. Great architecture has been cultivated in the walls of the ancient Castle Vajdahunyad. The best time to visit Budapest is during March to May, and September to November. Spring is the most wonderful time to visit Budapest. The summers are warm, sunny and long, but it rains a lot throughout May and June. Resorts are very crowded in late July and August. The main tourist season is usually for two months from July to August, and Budapest swarms with people at this time. It is also the time when most of the local festivals take place. Winter is cold and bleak, and museums and other public places are often closed. In Budapest, capital of Hungary, a population of 1.8 million people inhabit the city. 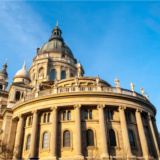 This great city is divided by the River Danube and is the most visited city in Hungary. The city brags freely about its rich background of historical and cultural attractions. Their natural parks are scenic, museums embrace the history of the city, and the embankments and pictographic caves are a sight to behold. In winter, Budapest gets really cold and there might be some snow, so pack warm if you’re planning on travelling during this time. Most places are open, but less busy. During the summer season, the crowds come in and the drone of the city life can be sensed in the atmosphere. In summer there are a number of exciting things to do, such as boat cruises, water sports and outdoor walks in the parks. 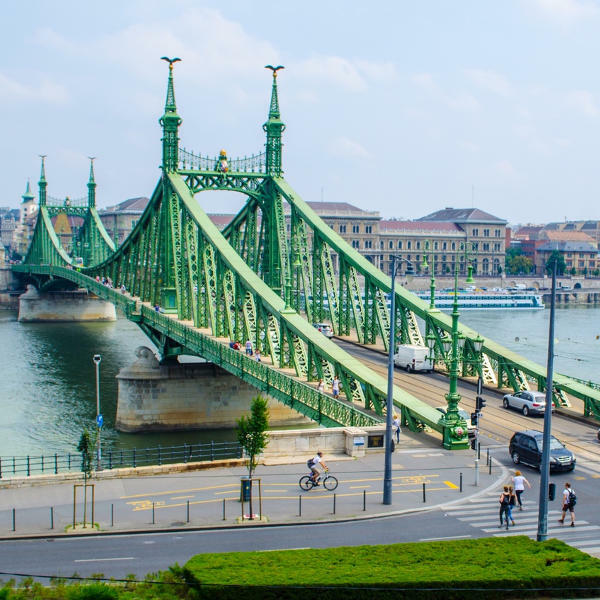 Compare several airlines, and book your cheap flights to Budapest online at Travelstart! Safety precautions should be taken in any country, Budapest City, is no different. • There is one vaccination requirement, that you be vaccinated for Tetanus. • In case of an emergency, round the clock health care facilities are available in Budapest. • Food and drinks are safe for consumption, just take special care if you are allergic to milk, soya or any form of nuts. • Insect repellent should be on your list if you plan on visiting during the hot summer months as tick-borne encephalitis is present in forested, grassy or lakeside areas. • Mosquitos are also present during summer, but they don’t carry any risk of diseases. • Leave valuables at the hotel and don’t accept any lifts or rides from people you do not know. • It is best to keep the contact numbers of local emergency and police service nearby. The environment around the Buda Castle District is tranquil and romantic, and is great if you do not want to be near the racket of the city. This district has beautiful views of the Danube and the city below. Convenient transport connections to get to the city are available, and a few great restaurants to choose from. The opera house is located in Budapest IV, as well as the music academy and theatre. Stay near the south end for a more upmarket experience, and near the western edge for a livelier experience. Budapest Jewish quarter is one of the popular attractions, known for its colour and energetic atmosphere. There are also boat hotels and spa hotels available. And if you want to get into the beer scene, the craft beer district is the place to be. It has an up and coming vibe and here you will get to meet some of the friendly locals. There is an extensive public transport system that operates in Budapest, getting around couldn’t be easier. The services include buses, trolleybuses, trams, underground trains and above ground trains. Budapest also has a night bus service. All tickets for public transport should be bought beforehand and cannot be purchased from the driver. There are even tickets that combines rides - for example: a bus and train ride can be combined as one journey, valid for one trip. There are always meter taxis available, and if you’re coming from the airport you can also hire an airport shuttle. If you like to go at your own pace and time you could always opt for car rental. To take more in on this beautiful city, walking or browsing whilst window shopping is definitely an option.